Our collaboration with the UW Students, info coming soon. 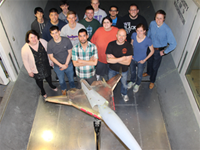 Gripen Aeronautcis completes wind tunnel model with the University of Washington Engineering students. © Copyright 2019. Gripen Aero, All rights reserved.